Yes or No To WordPress Frameworks? Comments are closed on this post. Please leave your comments on the original article. I don’t know if there’s ever been a time in WordPress-history where we’ve had such a plethora of options from which to choose as it relates to WordPress frameworks. We have anything from drag-and-drop page builders to code-level abstractions that aim to make it easier to work with a variety of APIs. But is using a framework always the best idea? Maybe. In my latest article on Envato, I weigh one of the pros and cons of using WordPress Frameworks in order to help determine if this is something that you may want to use or not. The article does not talk about any frameworks in general. Instead, it seeks to take a survey of a few of the advantages and disadvantages of what it means to employ a framework in your day-to-day usage. In the article, I go into a bit more detail. Of course, there’s always more to add so I’m looking forward to whatever feedback you and anyone else have to offer. 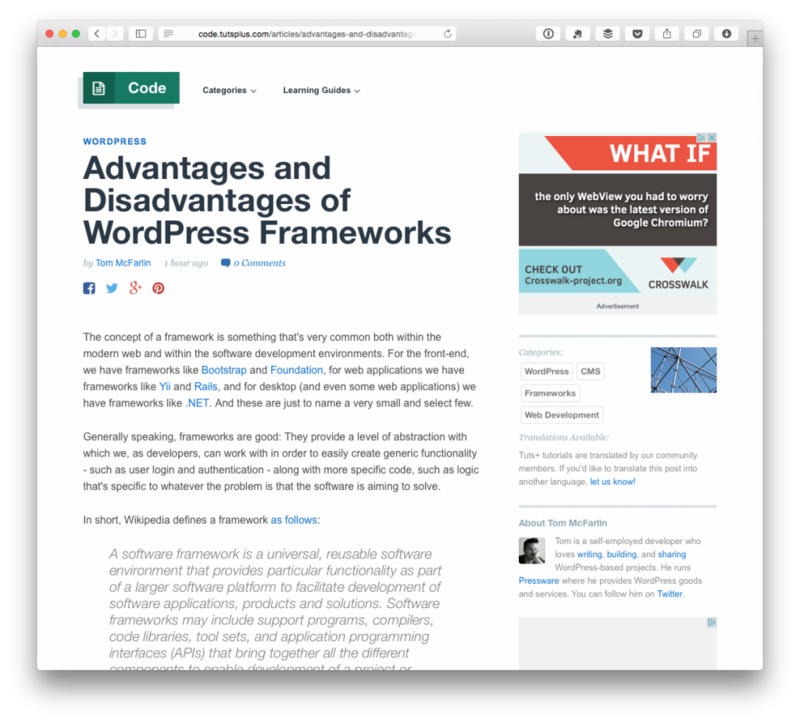 It’s an exciting time for those involved in WordPress frameworks, but there’s also a lot that we need to take into consideration before jumping into using them.